Looking to replace your water softener? Does your toilet run? Are you considering whole–house repiping? You need a Las Vegas plumber you can trust. We have served the needs of our local residential customers for over 25 years, and we continue to improve with every job that we do. We offer a wide range of plumbing services throughout Las Vegas, NV, including installation, replacement, repair and maintenance. When you make us your plumber of choice, you can rest assured that the job has been completely according to our high standards of excellence. Call today for more information about our plumbing services in Las Vegas or to schedule an estimate. The Las Vegas plumbers at Butter Plumbing offer quality plumbing repair, installation, replacement and maintenance services throughout the Las Vegas, NV area. At Butter Plumbing, we recognize how important your plumbing system is to your daily life. You depend on your faucets and supply piping to deliver a bountiful supply of hot and cold water whenever you need it; and you depend on your drainpipes and sewer line to remove organic waste and gray water from your home quickly so that you can avoid foul odors and unhygienic conditions. We offer a wide range of quality products for plumbing installation or replacement in Las Vegas, NV. When you deal with a Las Vegas plumber on our team, you can be confident in the services rendered. We guide you every step of the way, from equipment selection to the installation itself. New plumbing products are major investments of your resources and should always be handled by a professional plumber, but even the most well maintained systems endure enough wear and tear to break down eventually. When you need plumbing repair or maintenance services, work with the experts at Butter Plumbing. With professional plumbing maintenance, you can eliminate many repair needs and extend the life of your system, but you’re going to need a trustworthy plumber in Las Vegas at some point, and it’s a good idea to be prepared. At Butter Plumbing, we have the experience and technical expertise to deliver excellent customer service and quality workmanship. When you hire a plumber on our team, you can rely that your plumbing repair or maintenance service in Las Vegas, NV is completed thoroughly. Whether your shower drain is leaking through the downstairs ceiling, or you want to keep your water heater maintained, you can count on us. If you’re in need of professional plumbing services in Las Vegas, NV, you are probably looking for great value at an excellent price. At Butter Plumbing, we believe that quality is foremost, but we also understand that you’re on a budget. We can work with you to find a professional solution that ensures your home is safe and that your plumbing system is fully operational. 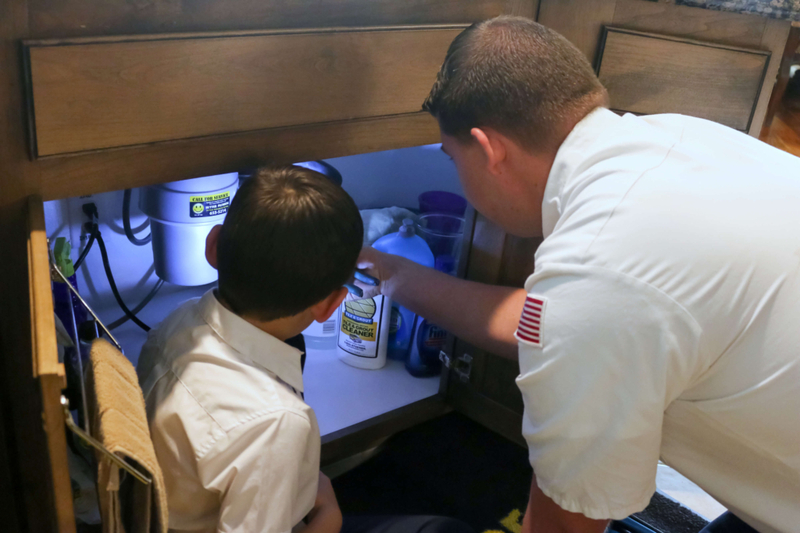 Water can be dangerous when not properly controlled in the home, and you need to rest assured that any issues are solved and new products are carefully installed. Call us today when you need a professional Las Vegas plumber. To schedule plumbing services in Las Vegas, NV and the surrounding area, call our friendly staff or fill out our quick and easy service form. No matter what service you need, we have a plumber for the job. Call us for 24–hour emergency service, or to schedule an installation.